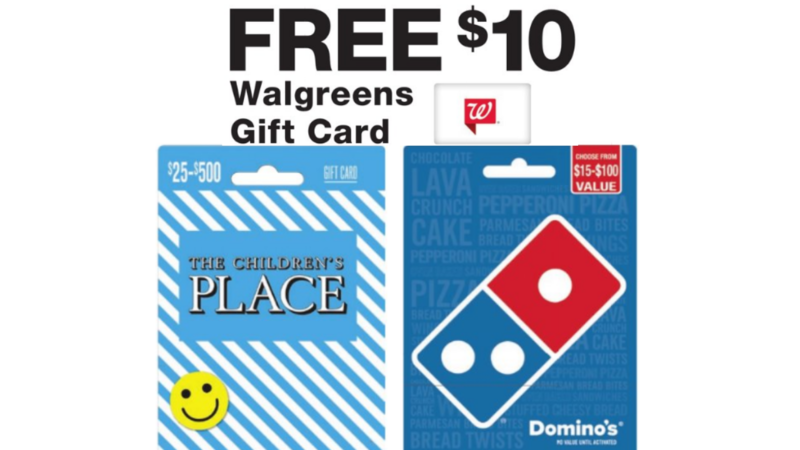 This week at Walgreens get a Free $10 Walgreens Gift Card when you buy two Domino’s Gift Cards or The Children’s Place Gift Cards! Gift cards for Domino’s start at $15 and The Children’s Place start at $25. What a great bonus for buying gift cards!